If gummy bears, peach rings and gummy worms are a few of your favorite sweet treats, we urge you to stop reading now. The way most gum-based candy is made might scar you forever. If you've ever had a vegetarian friend turn down a fruit snack or cup of jello, you know it's because many of those products are made with gelatin. Gelatin is a gelling agent made from animal skin and bones. But knowing what gelatin is can't prepare you for seeing how it's made. 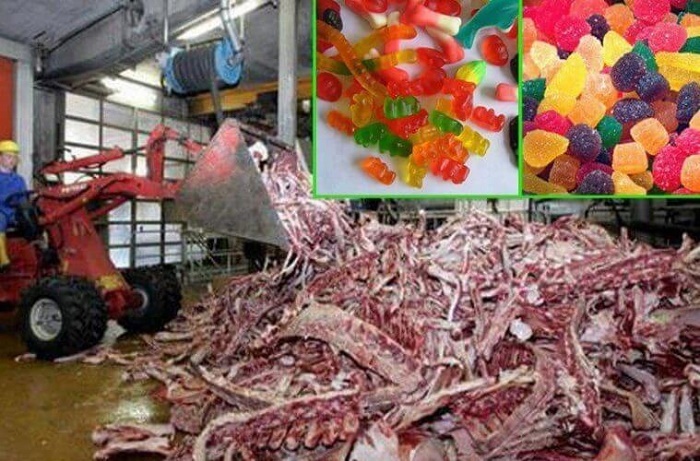 Belgian filmmaker Alina Kneepkens created the horror movie short film below that shows ― in grim detail ― the way many gummy candies are made. Kneepkens unrolls the footage in reverse, starting with the finished candy before revealing its gory inception.